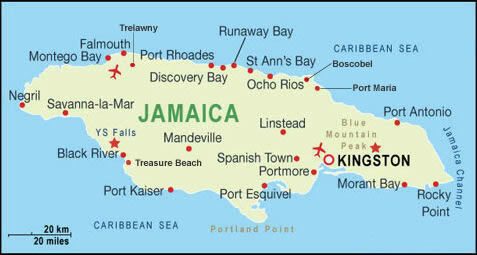 Hundreds of international cheap flights to Jamaica land daily at Norman Manley International (KIN) Airport in Kingston and Donald Sangster International (MBJ) Airport in Montego Bay. Cheap flights to Jamaica, though not easy to come by, may be available in November, December and April - when the seasons are still relatively dry. Although considered a year-round destination thanks to the shelter afforded by its northern mountain range, the best time to visit Jamaica is considered to be January, February and March. May and October are Jamaica's rainy seasons.